In this video I share how to make a wonderfully gelatinous Beef Bone Broth. You may recall, in my last blog post, I shared with you how I make Roast Chicken Bone Broth from the scraps left over after making a Roast Chicken. 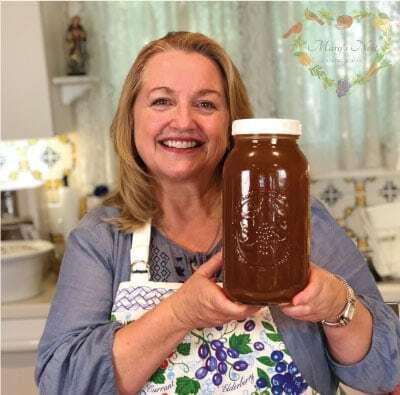 And although I love my Roast Chicken Bone Broth – when it comes to bone broths – Beef Bone Broth is the real jewel in the crown. It is so tasty on it’s own sprinkled with a bit of sea salt, but also makes a great base for soups, stews, and gravies. And in this video, I let you in on a little secret…which are the best bones to use to get the most gelatinous broth!! 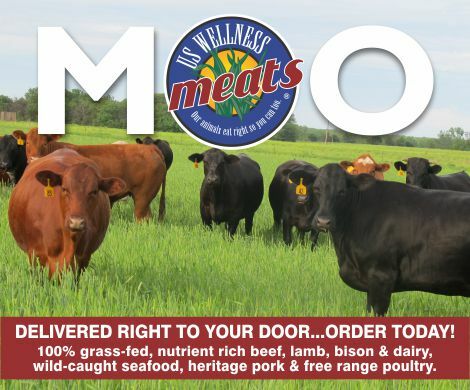 To find a nice selection of beef bones check your local grocery store, the farmer’s market or online sources like U.S. Wellness Meats. You might even be lucky enough to be able to buy beef bones from a local ranch or farm. After you source your bones, the rest is easy. You’ll need a few aromatics as listed in the ingredients below, but you can certainly use any onion, carrot, or celery scraps you have saved in your freezer, as opposed to using fresh vegetables. Once you make Beef Bone Broth, you’ll want to make sure you always have a regular supply on hand. And this recipe makes that easy to do since you can use a slow cooker…and it only needs to simmer for 12 hours to create a nutritious gelatinous broth. But don’t worry, if you do not own a slow cooker, you can still make Beef Bone Broth right on your stove-top using a stock pot. Making Homemade Beef Bone is so rewarding. It's much less expensive - and superbly better quality - than what you can buy at the grocery store. And once you learn to make bone broth in your own kitchen, you'll find so many ways for using it in soups, stews, and gravies not to mention drinking it warm and steaming - sprinkled with a little sea salt - straight from a mug. Enjoy! Place the beef marrow bones and the knuckle bone into an 8-Quart slow cooker or stock pot. (If you are using a 6-Quart slow cooker, you will need to reduce the amount of bones that you are using to 3 pounds.) If you choose to use the red vermouth, etc., you can omit the apple cider vinegar. Add the red vermouth or apple cider vinegar and water to the slow cooker or stock pot just to cover the marrow bones and knuckle bone. Place the beef shanks, neck bones, and oxtails on to a baking sheet and bake in a 350 F degree oven until the bones have browned, approximately one hour. Once browned transfer the bones from the baking sheet to the crock pot. Also add the onions, celery, carrots, bay leaves, and peppercorns to the slow cooker and fill with the slow cooker with water to cover all the ingredients. If using a slow cooker, turn it to the high setting for one hour, then turn it down to the keep warm setting and allow to simmer on keep warm for 12 hours. If your slow cooker does not have a keep warm setting, turn it down to the low setting but tilt the slow cooker lid to allow for some of the steam to escape to prevent the broth from boiling. If using a stock pot on the stove, bring to a boil and immediately reduce heat to low and simmer for 12 hours. After 12 hours, turn off the slow cooker or stove. Allow broth to cool slightly and then begin to strain ingredients with a slotted spoon. Reserve ingredients to be re-used to make a second batch of broth. To begin with, when you are shopping for bones to make beef bone broth, you want to find a mix of bones but do not worry if you can’t fine the exact mix of bones as outlined in this recipe. The bottom line is that you want to find a variety of bones. Marrow bones are usually readily available at most grocery stores as are beef shanks (sometimes referred to as Osso Buco). These make for a lovely broth especially when the beef shanks are roasted before adding them to your stock pot. But for a nicely gelatinous broth, you will also want to include some knuckle bones, neck bones, and/or oxtails. Knuckle bones should be readily available at most grocery stores and sold near the marrow bones. Neck bones may be harder to find but oxtails are often available at the grocer during the springtime. If you do not see any bones at your grocery store, be sure to speak with the butcher. They make have them behind the counter or you may be able to request a special order. However, with the popularity of bone broth, it has become easier to find beef bones at most groceries. Although you may have heard that you need to simmer this bone broth in- the-making for three days on your stove-top, that really isn’t the case. Approximately 12 hours is sufficient to leach the nutrients out of the bones and create a nice gelatinous broth. Excessive simmering can actually “break” the gelatin creating a watery broth which, in my - humble - opinion, has a bit of an overly strong - almost “over cooked” flavor. So make things easy on yourself and simmer this for 12 hours and then strain it. If after straining it, you think the beef bones may render more bone broth, you can of course re-use them for making a second batch. You will be able to tell that the bones may render more broth if you see evidence of some cartilage or gelatinous areas remaining on the knuckle bones, neck bones, shank bones, or oxtails. 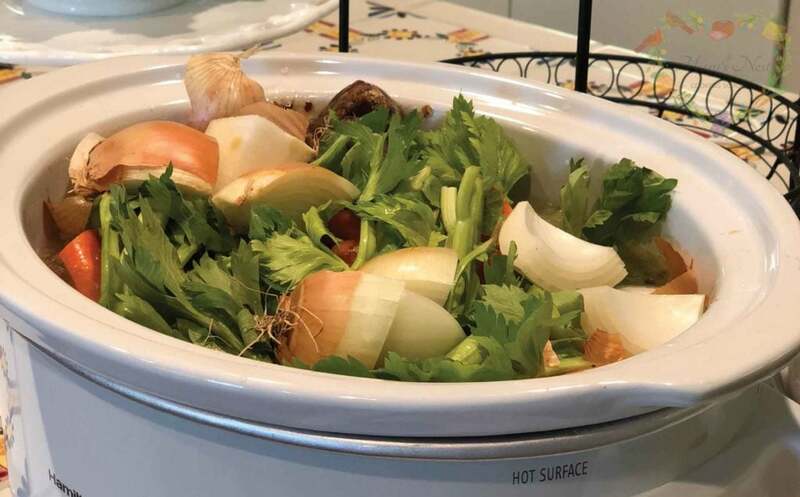 If your slow cooker does not have a “Keep Warm” setting, you can still use it to make bone broth but you will need to put it on the low setting and adjust the lid slight to one side to allow for some of the heat to escape so as to prevent the broth from boiling.